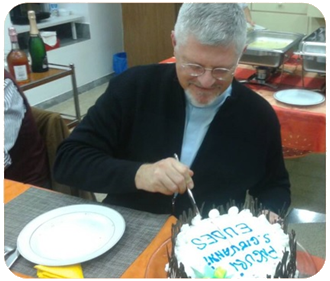 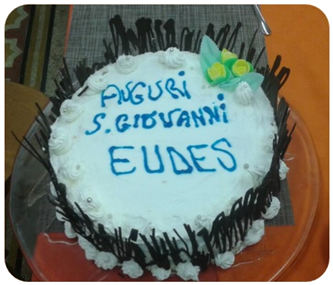 These last 14th and 16th of november, there was an atmosphere of joy in General House because eudist Fathers were preparing the celebrations of birth and baptism of saint John Eudes. 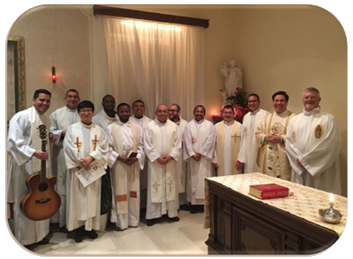 For the occasion, every priests, members of the college, were present for the mass. 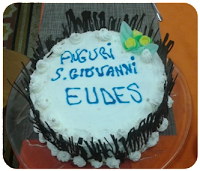 And Nicoletta, the young cooker of the house (withRosella) prepared a surprise for lunch : a cake with « happy birthday John Eudes » written up on it.